By the time I had arrived at where I had heard the scream from… the battle was already at its peak. Backed up against the the two-horse wagon stood a slightly plump man hiding in its shadow… and a group of three with weapons drawn trying to protect him. Against them were serpents that measured what could easily be over two-meters tall. Five to six strong with outward shells that shone like armor. Hmm, a reward huh? Duly noted. Let me activate Stealth and see what I can do. Sneaking behind a large one, I activated Surprise Attack. Oh, I hadn’t equipped my weapon yet. Ah whatever, they looked weak anyway. I moved in for the attack and sank a blade-hand chop. Its head detached from its body with a satisfying snap, rolling to the ground. It seemed like my Surprise Attack had triggered Critical Strike too. Though Stealth had faded as soon as I had begun my attack, it didn’t seem like it would pose any problems for me against an enemy of this level. Though the four remaining vipers had simultaneously turned to their attention to me as if having recognized me as a threat (the last was being kept in check by the sheer size of the male guard), they weren’t able to lay even a single scratch on me. Master Evasion seemed to be doing work. So their names were Govack, Quinn, and Quirley. The towering muscle of a man wielding a greatsword must be Govack, the glamorous silver-haired lady in snug-fitting leather armor and wielding something like a shortsword must be Quinn, and girl with chestnut hair the one garbed in a vibrant green manteau with must be Quirley. As I ruminated over the matter, my body was automatically dodging the vipers’ every attack and responding with Master Counter landing critical hit after critical hit. Around the same time I beheaded the last viper on my end, the trio also seemed to have finished dealing with their one. Just hearing those words born of the heart of praise and gratitude, I couldn’t help but feel prickly and uncomfortable…I only happened to land a chance to cheat my way into getting this power. Really a grade far from the skills they had risked their lives to forge. I see, so the chubby man was the merchant and the three who fought were his guards he hired. Huh? So they had a fifth with them. I following after Quirley to the back of the wagon… and saw a petite girl collapsed by the wagon. Ohh, cat ears and a tail. The devilishly cute— Wait, her arm was on the verge of falling from its socket. How painful. “… She’s your slave,” said Govack. Quinn was appealing to the sensibilities of that merchant, Kosuinen’s was it (lol). Good job! But wasn’t there something I could do for her? At the rate things were going, even if we took her to town, her fate would be left to the streets, a death sentence for sure. What’s more, it seemed she was valued bottom of barrel even among slaves, and, with just one arm left, she likely hadn’t many prospects. “Huh? Ahh, did… I?” his face stiffened. Under Quirley-san’s healing, it seemed the bleeding had stopped for the cat-eared lass, Nellie-chan. Her white hair that drooped to her shoulders was dyed in blood. Just looking was hard to bear. 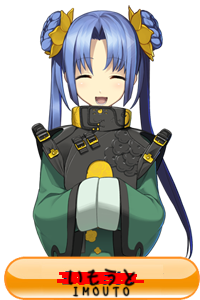 I briefly thought about using an alias but said, “It’s Shino Kagura.” Considering that it was a formal ritual, I thought better of it and gave my real name instead. As if in response, a light began to permeate the room centered around Nellie’s collar and drew me in. Fascinating. “I acknowledge,” said Nellie, shaking me from my stupor. “Well, uh… to each their own I guess… ” said Kosuinen, a little startled by my sudden outburst of love for the likes of a beastkin, a single-armed one no less. Sturdy-looking and carrying a greatsword upon his back, a warrior… He probably was also extending his thanks for taking in Nellie. A good person unbecoming of his grim-looking face. Wait, he said level 18 right? So this world has a level system? First magic, now levelling, this really is an RPG world. “My name is Quinn,” said the silvered-haired lady. “I’m a level 15 ranger. Allow me to also express my thanks Shino-san.” She saluted with her shortsword. Glamorous with leather armor that fit her to a tee. Ahh, now that I wasn’t distracted, wasn’t she drop-dead gorgeous. This lady. Even as a woman, I could feel myself getting a little light-headed. “While I don’t have any money, for now at least, let me offer you this as a token of my gratitude,” wrapping me in both arms, she kissed me on the ear. Oh my god! This was too much for a village lass like me. If I were to go down this yuri route, just what else could be awaiting me! The girl in a vibrant green manteau, Quirley. If Quinn-san were a luscious red rose, then she would be an immaculate white chrysanthemum. Though appealing in a completely different way, Quirley too was incredibly adorable. If it weren’t for her ears, even Nellie would be incredibly attractive among humans. Were all girls in this world beauties by default? Then wouldn’t that basically rate my charm at weed level status in this world? How depressing. Just wait a little longer, don’t worry. “Kagura Shino… though perhaps, it would be better to introduce myself as Shino Kagura over here. Kunoichi. My level is secret.” Not knowing what my Sengoku Online level would mean for this world’s levelling system, I decided to leave it ambiguous. … I didn’t quite follow. Tier above? Did she mean like an addable crafting profession? Perhaps the system worked the same way how RPG’s let you change professions. “It wasn’t my intent to blame you! Rather, I just so happen to have gotten my hands on a quality healing item, but I won’t know if it’s effective or not until she tries it…” Wait, why was everyone making such surprised expressions? Especially you Kosuinen. “Ah, well like I said, I’m not sure it’ll work without trying.” Whoops, was it abnormal to use healing items on slaves? Looking through my inventory, I spotted some pills I had made while on my herbalist while replenishing my stock and took a few tablets out. Panacea, cures all abnormal effects. Analeptic, completely revitalizes one’s stamina. All-recover, restore lost body parts (only one part per use). Though town shops sold each for quite the price, I could make them for free ignoring the labor time costs thanks to my kunoichi’s gathering and herbalist’s production skills. “Al… right,” finally conceding as if having resigned herself, Nellie swallowed all three tablets. Nellie whole began to shine brightly, and, one by one, all of her bruises began to disappear. Everything was going to be fine, r-right? Though she probably was overreacting a little, perhaps she would calm down a little if I hugged her? “Don’t worry Nellie, everything is going to be alright.” I hugged her and gently patted her back. Once the light had faded, I looked over to see if Nellie had calmed down, The skin that regrew on right arm is looking glossy and wonderful. I was surprised at the guard trio’s words. I’d never thought that healing items in this world would be that valuable. Although I could opening a business selling them and secure myself a lucrative income source if it came down to it, I think I’d rather pass except as a last resort… I wouldn’t want myself to stand out too much. Hmm? A side-effect of the item? I thought to myself when I heard the ding of a message received. Geez, I thought you said we wouldn’t be in contact again… Oh—so what was happening to Nellie wasn’t because of using the item but because of me! Those eyes are too full of temptation, Nellie-san. “Goshujin-sama, I vow to devote my entire life to you! Even should this contract be revoked, this body is yours now and forever…” Bending to her knees, she kissed the top of my foot. “Y-you don’t have to do such things… but well, I’m not too familiar around these parts since I’m not from this continent, so I’d be overjoyed if you would help me out.” I extended my hand to help her back to her feet. —I’ll keep it secret that she had slipped straight into my heart with that pledge and set it on ablaze. 1 Ipoomeas are a type of flower. Morning glory is one of its more common names, but that also refers to several other similar flowers. So kissing and ero are big no-nos for Shino then. She’ll have to carefully pick out her lovers in the future. Clearly already on a Yuri route, which is fine too. Oh, a new series? Pretty interesting so far, looking forward to future chapters! By the way, is this just a teaser or a new project altogether? New project that hopefully for which I’ll hopefully get all the way to end. Simply amazing. I hope you guys continue translating this. Thank you for the chapter and I’m eagerly awaiting more. looks like something really fun and a female MC for the win so is this gonna be a continuing project or a teaser project with only a few releases? hmm looks like it’s on the projects tab looking forward to more releases and thanks for this looks like a great one XD. As a fellow translator… I want to complain, but I don’t know what the raws say, yet. Blade? Not fist? I mean… They all say barehanded? -cough- You uh, have been imagining things, cough. It clearly says blade-hand, and has said that all along. It’s when you flatten your hand and use the bottom side as the striking surface, also known as a judo chop, a karate chop, a knife hand and a sword hand. it’s not bad, but it’s not good either. Is this a teaser or are you planning on continue translating this? Please say you’re going to do more of this! It seems like it’ll be fun. I can’t wait for more. I hope you can continue translating this! Not many yuri’sh novels out there and this seems to be a really good one! Seems pretty generic but hopefully it will improve further. Nuu 3 chapters and I don’t like it already? I’m not very fond of novels with cheats and slaves. Thanks for translating this! I’m definitely looking forward to reading more, it seems like it could be really fun! whenever I read chrysanthemum, all i can think about now are butts…. WHY!!! WHY IS THAT SLANG FOR A PROSTITUTE!!!! Well, aside from the easy adjustment of the mc on using the skills and behavior that’s too calm, all is fine? Although the conversation/speech of the characters when they meet for the first time is too optimistic, it’s fine as it’s light-heartening for now. One of the things that bothers me about the series is that Nellie talks alot more proper than I feel is apporiate for an abused slave. Or maybe I’m over thinking it. Well, maybe you are, it can be attributed to her mental and emotional fortitude or the likes. I laughed at her over enthusiastic praise of fluffiness. But yuri, huh? Well, I guess it’s not bad every once in a while! I’m kind of getting tired of the Japanese habit of ranking power levels of monsters/adventurers/powers/whatever with an alphabetic scale starting from “S” going down to “A” and so on. It’s a weirdly precious abstraction. I dunno if that says something about a Japanese love of order for order’s sake or what. But an adventurer apparently can’t just be an self-employed mercenary that’s just a few meals from banditry. Oh no no no. Too simple. Adventurers have a pay grade assigned to them by a nation-wide social institution that exists in what amounts to the Wild West.